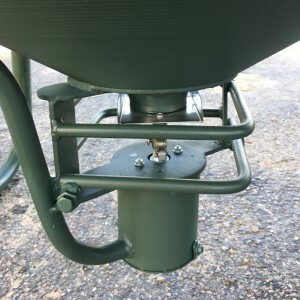 With all the same rugged durability that comes standard from Outback Wildlife Feeders, we proudly introduce the “Share-Kropper”. 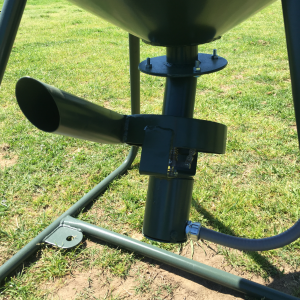 This awesome low profile directional feeder works equally well with all types of fish feed, corn or milo. 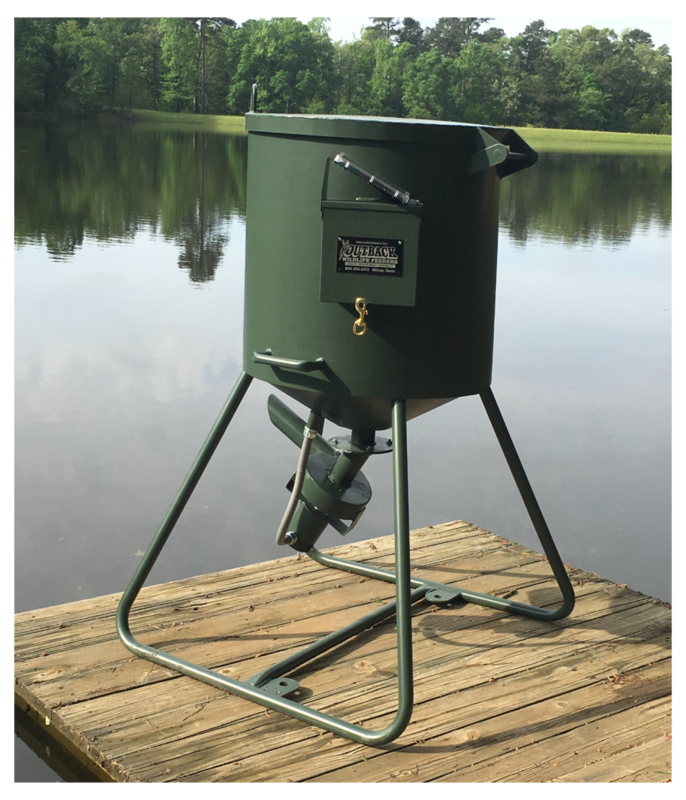 The Share-Kropper can be placed on a pier, dock, bank, or truck to out-perform and outlast all those tin can feeders out there.